Baker Mayfield has no doubt seen his fair share of rookie struggle, including his three-interception performance this past weekend. But even with the high interception numbers, Mayfield continues to be a quality fantasy option, and this Sunday’s game was no different, as he threw for a season-high 397 yards. Over his last four games, Mayfield is averaging an extremely solid 292 yards and 2.5 touchdowns. The Panthers are unlikely to put an end to Mayfield’s streak of high passing totals. Carolina allows the 12th most passing yards and sixth most passing touchdowns, and have been on a dreadful run of five games in which they’ve surrendered an average of 275 yards and 2.8 passing touchdowns. Over the last two weeks, Sony Michel has continued to make very little impact as a pass-catcher. As a runner though, Michel has been overflowing with touches, and he’s made the most of them. In that two-game span, the rookie has seen 38 carries and taken those for 196 yards and a score. As long as we don’t see a sudden drop in volume that Bill Belichick is famous for, Michel will provide us with an extremely safe floor. Miami is among the league’s worst at defending the run, allowing the fourth-most rushing yards and tied for 11th most rushing touchdowns to opposing backfields. In their last six games, three running backs have been able to bust out huge games, with over 125 yards on the ground. Michel ran all over Miami in week four, gathering 112 yards and a score. The Saints, arguably the best team in the NFL, are nowhere near special against wide receivers. New Orleans allows the most receptions, most yards, and tied for fourth most touchdowns to wideouts. Even in a run of five games in which the Saints have simply been running over teams, eight different receivers have reached 70 yards, and another eight have caught at least five passes. Chris Godwin, the 25th ranked scoring receiver, has been playing some of his best ball of late. In his last four games, Godwin has averaged 4.8 receptions, and gone for 100 yards twice; And for the first time in seven weeks, he found the end zone this past Sunday. Godwin played the Saints in week one and we saw mixed results, with a touchdown, but only three receptions and 41 yards. Whoa. What’s a big name and high price tag like Travis Kelce doing in here? Easy Money is about finding value to help lineups win. Usually, that comes in the form of bargains who are prime for big games. 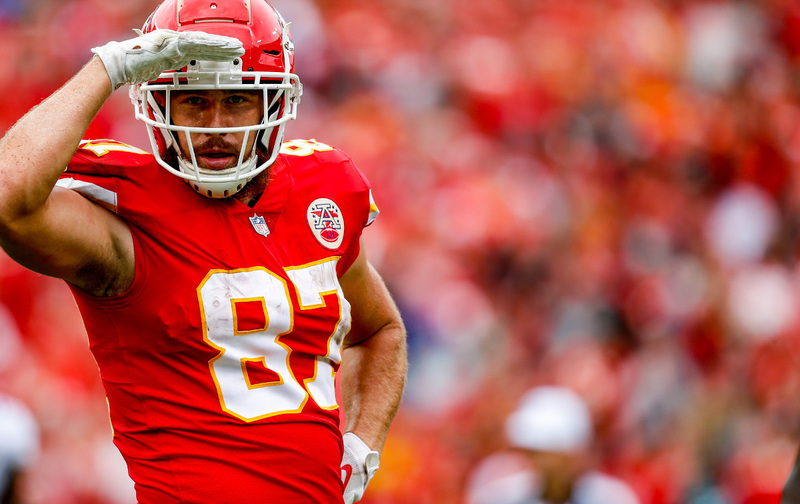 In this case, Travis Kelce is too dang hot to leave out of your lineup. Even as the highest price Tight End, Kelce is indeed, the best value. In his last two games, Kelve is averaging a downright ridiculous 14 targets, 11 receptions, 148 yards, and 1.5 touchdowns. Let’s expand that time frame out to five games. Not quite as impressive, but even still, Kelce is averaging 8 receptions, 104 yards, and 1.0 scores. Baltimore ranks in the bottom half of fantasy points allowed to tight ends and has been getting torched in the red-zone by opposing tight ends, allowing five touchdowns over their last six contests. Tight end is not the space to save money this week. Don’t overthink this one.